Be sure to tune in Sunday night for a lively discussion about Mesopotamian Night 2009. Proceeds from the performance and auction benefit AAS-A education projects in the Homeland. The Sumerian epic of Gilgamesh has been the subject of operas by Bohuslav Martinu, Franco Battiato, Rudolf Brucci, Rosella Simorari, and John Craton, whose version remains a work in progress. The only one of the operas sung in Aramaic, the language of the Assyrians, is Craton’s, based on the translation of the epic by Addai Alkhas. The Assyrian Aid Society (AAS-A) commissioned the opera. Excerpts from Gilgamesh were premiered at the 2008 Mesopotamian Nights gala concert, in Modesto, California. This year, at the third annual musical gala, Gilgamesh returns to the stage with the Duet of Gilgamesh and Enkidu, with soloists and the Gottschalk Music Center Orchestra conducted by John Kendal Bailey. Myths, legends and stories abound about the life and adventures of Gilgamesh, King of Uruk in Babylonia, who lived around 2,700 B.C. Some were written in Sumerian about 2,000 B.C. Others existed in long poem form in Hittite, Hurrian, and in Akkadian, the language the Assyrians generally spoke before switching to Aramaic sometime around 1,000 B.C. The epic was written on clay tablets in cuneiform, an ancient script using wedge-shaped figures. In time the Sumerian version of Gilgamesh was incorporated into the longer poems. Today some survive to various degrees. The best preserved is a series of 12 tablets written in Akkadian that make up the Epic of Gilgamesh as we know it. The tablets were unearthed in Nineveh, in present-day northern Iraq, in the ruins of the prized library by the Assyrian king Ashurbanipal (669-633 B.C.). The Medians destroyed the magnificent library in 612 B.C. at the fall of the Assyrian empire. The authors of all versions of Epic of Gilgamesh are unknown, except for that of the 12 tablets, written in Akkadian. He was one Shin-eqi-unninni, now considered history’s first known author. Since its first European translation in 1876, the Epic of Gilgamesh has been offered in scores of languages and appeared in numerous forms, including novels, plays and operas. More than 10 versions of the epic alone have been published in English. Assyrian history is plum with a treasure of stories and characters to be immortalized in operas. Not just any operas, no, but Assyrian operas, sung in Assyrian. Imagine how richer our nation would be with our own catalogue of great operas. More than our nation, but the world that seems to have a short memory when the name Assyrian is mentioned. Even though Gilgamesh is only one Assyrian opera, it still is a good start for our nation to once again try to take a bow for the magnificence of its art. French composer Michel Bosc can easily see Qateeni Gabbara, a work still in progress, becoming the first Assyrian National Opera. “It’s a very melodic and colorful opera that also has a universal appeal,” he says. Scores of great European masters wrote operas based on historical Assyrian characters and legends. Semiramide, based on the legend of the Assyrian Queen Shamiram, especially comes to mind. At least 10 composers that I know of wrote operas titled Semiramide, based on the topic of Shamiram. Rossini, Ziani, Cimarosa, Gluck, Salieri, Porpora, Respighi, Paisiello, Mayberbeer and Handel all produced their own musical versions. Rossini’s Semiramide is the most famous. Other operas based on an Assyrian topic include Verdi’s Nabuco (Nebuchadneser), and Henry Becque’s Sardanaple (inspired by Lord Byron’s Sardanapulus). It is presumptuous to consider these Assyrian operas, especially since they are not sung in Assyrian. Qateeni Gabbara, however, is sung in Assyrian. An opera in Assyrian? And why not? We really have not changed from our ancestors, who produced magnificent works of art. We are the same people, and many of us have the same passion about the arts as did our ancestors in Mesopotamia. It’s just that some of us reach out a little harder to find them. Thus the Assyrian opera Qateeni Gabbara. The opera is based in part on the Epic of Qateeni Gabbara by the late Assyrian musical and literary figure William Daniel. Comprising about 6,000 verses in three volumes, the epic was inspired by the Qateeni Gabbara folk tales known to have flourished in the Nineveh Plain of northern Iraq and some of the lands beyond. “There are linguistic and cultural indications in the language that refer to tribal dialects, particularly the Tiari dialect of the mountains of Hakkari and the mountains north of Iraq,” says Assyrian scholar Edward Odisho. Daniel first came across the Qateeni Gabbara folk tales in 1946. His profound impression of them led him to write an epic based on the Qateeni character, Odisho points out. Subsequently he used the core of these Assyrian folktales, embellished them with stylistic and poetic ingenuity, and artistically transformed them into a complete epic. Khoshaba chose to begin the opera with Chapter 7 in Book I of the Epic of Qateeni Gabbara. In the chapter, the feudal warlord Malik Tuma — who also is Qateeni’s uncle — challenges young men to destroy the demon Shidda. Here also, Qateeni meets his uncle for the first time, and accepts the challenge. This chapter is the story’s core, explains Khoshaba, when Qateeni begins his quest to destroy Shidda. The health and vitality of our performing arts is another way of showing the world that even though the Assyrian empire fell in 612 B.C., the Assyrian people did not, and that our arts continue to flourish. All one has to do is to reach out for them. 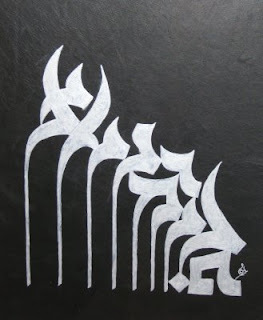 Qateeni Gabbara is worth the effort, because it says a lot about who we are and where we come from. As the master of ceremonies and an Assyrian, for me, Qateeni Gabbara is one more nugget in the treasure of Assyrian performing arts to discover. Below are four beautiful pieces donated by Rabi Issa Benyamin which will be on auction on August 15th at the Mesopotamian Night event. The Modesto Courtyard by Marriott is a proud sponsor of the Symphonic Suite Assyria, and to show our support we are offering the discounted rate of $79.00 per night for anyone attending the concert. Enjoy an evening of classical, folklore, and popular Assyrian songs, and relax at the Courtyard by Marriott Modesto. To take advantage of the special $79.00 rate, please call (209) 577-3825 and mention the Symphonic Suite Assyria. Emanouel Bet-Younan is our guest Assyrian pop singer at the Mesopotamian Night 2009 concert in Modesto. 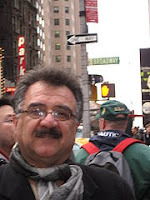 Below Helen Talia an Assyrian activist and writer from Chicago gives us an interesting account of his life. Emanouel Bet-Younan was fourteen years old when he took center stage to sing on an Assyrian television show in Kirkuk, Iraq where he was born and received his education. A youth then, he formed his first band in 1981 under the name Shamiram and began performing at private Assyrian weddings and parties. With uncertainties in homeland, Emanouel took refuge in neighboring Iran, but found himself in Greece in less than a year, where he continued to perform at private functions and national holidays ~ Assyrian New Year (Kha B’Neesan, Assyrian), and Assyrian Martyr’s Day (Shawwa B’Tabbakh, Assyrian). Unsettled, yet focused on his path, Emanouel’s next journey took him to New Zealand, where he lived for five years and scraped all that was left from his past to reestablish himself as an Assyrian artist in Diaspora. 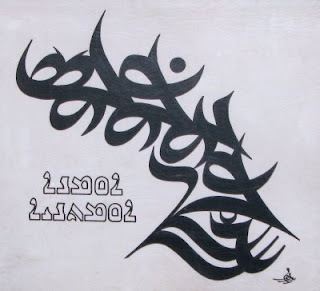 An artist whose work has a strong foundation in the Assyrian political movement and roots in humanitarian projects, his first album, a transparent determination of the survival of his people in Iraq, “Shighda mn Garbya” was produced in 1994 in Sydney, Australia where the artist was living at the time and performing regularly at the Assyrian Culture Club and the Assyrian Nineveh Club. With the album soaring internationally and the artist enjoying the much-deserved fame, the Assyrian Democratic Movement hosted Emanouel in Chicago where he performed for the first time before a sold-out audience at a charity event. Following his groundbreaking performance in Chicago, the doors to Emanouel’s musical career quickly began to open. Earning international recognition within the walls of the Assyrian community, he began to tour within the United States, Canada, Europe, and Australia, building an ever tall order of philanthropy for any artist to follow in his footsteps. Emanouel, the first Assyrian artist to lend his voice to thousands of fans in the Nineveh Plain (Dashta D’Nineveh, Assyrian) has helped pave the way for humanitarian missions in homeland Iraq and built charitable alliances by pairing the Assyrian Democratic Movement with the Assyrian Aid Society to help build awareness and raise funds that were desperately needed to build the Assyrian dream in Iraq ~ an education system, its transportation and student housing, day-care centers, orphanages, pharmacies, food and medical supplies, to say the least, throughout cities and villages in the Northern region of Iraq. With the execution of work in motherland Iraq, the message had clearly been delivered when Emanouel snatched the Assyrian musical charts for the second time with his follow-up album “Agarta Qa Yimma,” produced in 1996 where the artist made Chicago his new home. In the following years, joined by other singers, Emanouel performed in the Assyrian Song Festival in Chicago for two consecutive years. But even after accomplishing this much success, he continued to live his life in the fast lane, shifting gears between family and career, a humanitarian during the day and an artist by the evening, while making one country after another his home. Apparently, he needed to settle some old scores with the recording of his third album, “Durara Mzayna.” The success of this album is without a doubt owed to the river-deep, mountain-high voice of the artist himself, but greatly indebted to the contributions of some of the most credible lyricists of modern Assyrian songs ~ Rabi Yousep Bet-Yousep, Ninos Nirari, Jaklin Pityo, Orahim lazar, Wilson Lilu, Yousip Menashi, Sargon Esha, and Macksud Ishaia, and the sounds of Alan George, Dawod Barkho, and Billy Warda. His second trip to Iraq in 2005 waved sounds of freedom from the East to the West as Emanouel visited motherland Iraq once again to commemorate the Assyrian New Year (Kha B’Neesan, Assyrian). This trip was immediately followed by his Middle-East tour to Syria, Jordan and Iraq where he performed at several concerts to promote the Alrafedaen 740 ballot representing the Assyrian Democratic Movement in Iraq’s National Election. Earlier this year, Emanouel traveled to Iraq yet again to perform in Baghdad, Baghdeda, and Telesqoph to celebrate the grand opening of Ashur TV satellite and to raise awareness on the importance of participating in the then city elections. Today, Emanouel is happily settled with his wife Jacklin and daughters Kiana and Shanna in Arizona, and continues on the same path of nationalism and charity that began more than twenty years ago. His fourth album titled “History Repeats Itself” translated (Tasheetan Bitnayela L’Ganoh, Assyrian), is due to be released soon. Mesopotamian Night has now become a summer tradition in Modesto, and what a tradition it is! For the third consecutive year Tony Khoshaba and the AAS-A Central Valley Chapter team have designed an extraordinary evening of both high culture and popular culture celebrating our wonderful and rich Assyrian heritage. The range of performers and talents involved at every level is staggering. If the previous two Mesopotamian Nights are any indication, hold onto your seats and prepare to be amazed. At the same time, however, please keep in mind how important the money raised through events like this is for our education projects in the Homeland. The beginning of the new school year for our Assyrian schools in northern Iraq is only weeks away yet already we are learning of looming budget deficits and lagging financial support from the local and national governments. Without your help, without the funds raised by events such as this, the Assyrian schools we have all worked so hard to build and maintain over the past decade will be in jeopardy. Education is crucial to the future of Assyrians in our Homeland and to the continued flowering of Assyrian culture. Assyrians are a nation of dreams, and when those dreams include vibrant performing arts, we are the richer for it. After all, a nation’s art is its soul. Imagine the spirit feasting on Assyrian symphonic music, opera, ballet, theater and film, presented by world-class artists. It is not all that far-fetched. We need only to look back in our history and see the rich art our nation is capable of creating. It still can, and does. It only takes a keen eye and a proud heart to reach out for it. Perhaps the third annual Mesopotamian Nights Gala concert, presented by the Assyrian Aid Society of America (AAS-A), Central Valley Chapter, is the road on which some of our performing arts will flourish. This year’s event takes place on August 15 at the Gallo Center for the Arts, in Modesto, California. The evening promises an exciting bill of Assyrian classical and popular music, along with an art auction. Proceeds will benefit needy Iraqi Assyrians. Following the Mesopotamian Nights Gala tradition, the program highlights two distinct sides of our culture. The first half of the concert showcases Assyrian symphonic, operatic and folk music with soloists, chorus and the Gottschalk Music Center Orchestra conducted by John Kendall Bailey. For those who have never heard Assyrian music performed by a large symphony orchestra, the evening promises a dazzling surprise. No less of a surprise is an evening of Assyrian operatic music — sung in Assyrian. The second half romps through a field of Assyrian popular and traditional music performed by recording artists Lida Lawandoo and Emannuel Bet Yonan, accompanied by the full orchestra. Every dream rings with possibilities. A vibrant portrait of Assyrian performing arts is no different. It all has to start somewhere and then keep on going, armed with the strength of the artist and the nudging of our people. As master of ceremonies, I invite you to an evening at the symphony as you’ve never experienced. The following article has just arrived from Paul Caldani a student of Rabi Paulos Khofri. The article is in Farsi but we will soon publish it in English as well. Paul Caldani (پل كلدانی) (Musician, radio personality, Assyrian scholar, and author of non-fictional Iranian folk tales) was born on May 25, 1949, in Sanandaj (سنندج), Iran (ایران). Growing up, he was always surrounded with music and he eventually taught himself to play the Tonbak (تنبك) and the Daf (دف) (Persian Instruments) at the age of six, and went on to perform many concerts in Iran. In 1958, an Iranian TV children's program invited him to perform live Kurdish dance on TV where he performed Kurdish dance and playing the Tonbak and Daf until his late teens. Later, impressed by the music and he developed an intensive fascination with Iranian folk music (موسیقی محلی ایران), specifically Kurdish dance and Kurdish music. At the age of 19, he became interested in learning to play the piano, organ and keyboard. Within 2 years he became fluent in playing all three instruments under the direction of his music teacher, maestro Paulus Khofri. In addition to dedicating his life to music, Paul obtained his B.A. degree in business management and in 2004 a master's degree in education curriculum, both with honors. 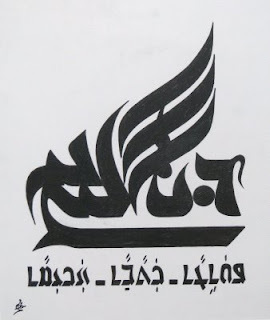 Mr. William Warda who has been helping us with translation of Qateeni poems in the following article give us a deep insight into the story of Qateeni Gabbara. We appreciate Mr. Warda's commitment and dedication to help us push the Qateeni Opera project ahead. We are hoping in the coming years we would be able to bring this fascinating story on stage as a full opera. Since then has translated in English most of the other chapters. He plans to publish translation of the entire book in the future. Qateeni Gabbara is William Daniel's most important contribution to the Assyrian literature, in the tradition of Homer and the Persian Poet Ferdosi he has saved an important literary heritage of his people. Qateeni Gabbara is one of the many legends narrated for centuries by the story tellers in the highlands of Hakkari, and towns in the plain of Nineveh which since then most have been lost from memory because they were not written down. According to William Daniel, in the mountains of Hakkari, story tellers traveled from one Assyrian village to another especially in the winter months when the inhabitants of these villages were homebound because of deep snow and freezing whether to tell stories of love, courage, betrayal and incredible bravery,. Epics such as Qateeni are narrative poetry which recount the exploits of national super hero. 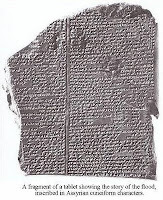 This form of literature predates even the art of writing, the oldest of such epics is the story of Gilgamesh written at the earliest days of writing but has continued to fascinate humanity to this day, because it deals with issues of life and death, compassion and adventure which still fascinate us thousands of years later. William Daniel’s Qateeni consist of 7000 verses rich with fascinating imagery, metaphors and innovative poetic techniques in various forms. It was not until 1946 when Daniel became aware of the heroic story of Qateeni Gabbara, and decided to retell it in his own poetry. In doing so he introduced new forms of verse rich with fascinating imagery and innovative poetic techniques in various forms which attest to his deep knowledge of the language, extensive vocabulary, grammar, and technical knowledge necessary to write delightful poetry by using rhyme, rhythm, melody and majestic choice of words to describe physical and spiritual concept that otherwise are difficult to communicate. Although Daniel was not the first writer or poet of the vernacular Assyrian language but he has shown how to write a story in verse which is captivating and fun to read. The contemporary Assyrian language was not used as literary language until the 19th century, before then the classical Assyrian language known as Syriac was the literary language of the church. It’s grand masters were primarily concerned with verses related to religion and the praise of the divine icons. 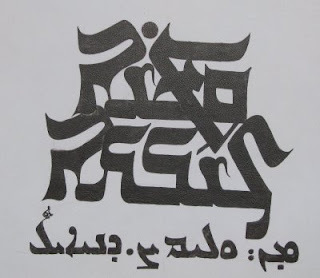 Because of constant depredation against Assyrians there were no educational institutions where the ordinary people could learn to read and write their own language, William Daniel’s Qateeni Gabbara was published in three books by the Assyrian Youth Literary Society of Iran starting in 1961, along with writings of other unpublished Assyrian writers. Unfortunately very little of the pre-William Daniel original folkloric legend has survived, because most of the Hakkari Assyrians were massacred during World War One and the survivors were forced to abandon their homes in the highlands and escape to Urmia in northwest Iran where another equally persecuted Assyrian community lived. Like most Assyrian poets of the 20th century William Daniel was driven by nationalism. His epic hero is willing to sacrifice all he has to liberate his people from the evil forces bent on destroying them. In other words Qateeni symbolically represents the Messiah that every Assyrian undoubtedly has hoped would come to save his people from the eventual extinction. In many ways Qateeni is similar to the popular American super heroes such as Superman, Spiderman, Batman, the X-Men and a host of others who are dedicated to ensuring social justice. Throughout Daniel's Qateeni the message of deliverance is repeated in different forms. Such sentiments may sound a bit melodramatic to the contemporary reader but William Daniel like Fraidon Atouraya, John Alkhas, Addi Alkhas, Baba Bet Lachin and other Assyrian poets of his generation had first hand knowledge of the horrors inflicted on his nation during World War One. Though Assyrians have suffered countless persecutions, the massacres of World War One have had greater enduring influence on their psyche. Because not only two third of their population was lost, the surviving population was driven out its homeland and scattered around the world. If not for the presence of the American and the French missionaries in Urmia who provided refuge for the unfortunate people the entire Assyrian population of that region would have been wiped out. It should be noted that Assyrians of the Chaldean Church and Syriac Orthodox Church also known as Suryoyee suffered similar fate in the cities and the villages of Turkey. William Daniel born in 1903 lost his mother when he was only three years old. His father a prominent physician died from a malignant disease while caring for others dying form typhus, typhoid and other contagious infirmities resulted from taking refuge in crowded and unsanitary quarters. His three sisters disappeared along with thousands of other young Assyrian maidens who were forced into Islam. Some were sold as slaves in lands as far away as Lebanon. He was fifteen years old when the entire dispirited Assyrian nation left behind all they had and fled in disarray toward Mesopotamia later known as Iraq. But even then they were hunted down and killed by the military forces of their predators. It is natural that these tragic events will lead to a desire by him to exact revenge in writing for the injustices inflicted on his people, throughout the Epic of the Qateeni. If there is one thing which sets this epic apart from other super hero legends is the symbolic fusing of a heroic tale with real life struggles of an oppressed and persecuted people. William Daniel's Nationalism was evident long before his work on Qateeni Gabbara. In spite of all the hardship he was able to travel to Europe and receive a valuable education in the classical music. Unlike thousands who had gone to the Western countries and had stayed he returned to Iran to enrich the cultural heritage of his people. In the early nineteen forties he organized the first Assyrian musical group which preformed Assyrian folkloric dances along with songs and music composed by the master. He published a music book in 1944 titled "Zahrirah D' Umanuta" or "Sun-rays of Art" which contained the music and the songs of his performances . In translation to another language one can easily duplicate the meaning of the words and sentences but recreating the rhyme, rhythm, the mood and the music orchestrating in the reader's mind is something else. This translator does not pretend to be a poet. However, he has made a limited attempt at translating it for the sole purpose of offering those who cannot read the Assyrian language a rough idea of what Qateeni is all about. To truly enjoy the beauty of William Daniel's poetry, one has to read it in Assyrian language. National awakening of Qateeni begins when his mother inspires him to use his wisdom and his super power to liberate his people from the evil of the tyrannical forces bent on destroying it . Since the days of old. From then on it was the realization that his people have been brutally oppressed and enslaved which made Qateeni even more determent to push forward. shouldn't on our life shine some light? where is the one' to free us will come ? Destroy this tyrant may your might grow strong"
In a moment of despair Qateeni seeks God's help.